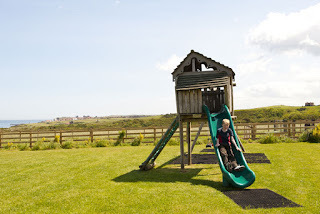 Sandsend Bay cottages near Whitby boast an elevated position directly overlooking the Bay of Sandsend with panoramic views out to sea, towards Whitby and across miles of open countryside. Sandsend Bay Cottages, Dunsley, Sands End, Whitby, North Yorkshire (Sleeps 1 - 6). The beautifully quaint little village of Sandsend sits just down the lane with its award winning sandy beaches extending towards Whitby. Our cottages offer easy access to the many good walks and nature trails close by with the advantage of a five minute stroll to the beach. Being former farm buildings our luxury self-catering holiday cottages for you all contain their own unique features and character but all enjoy the spectacular scenery which must be one of the finest in Yorkshire and the East Coast. 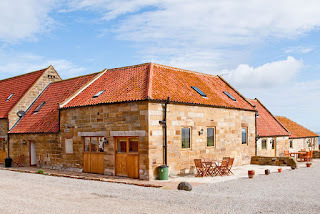 Sandsend Bay Self Catering Holiday Cottages are run by the owners, John & Jackie Richardson, who live on site. We are 4 Star, Enjoy England Gold Award (Tourist Board) rating, ensure the quality of our holiday cottages is maintained at a high level from one year to the next.